Overview: Autodesk Alias Design or Alias Surface are industrial design packages that powers your creative process with a range of sketching, modeling, surfacing, and visualization tools. Create compelling designs with tools tailored for industrial design, automotive design, and technical surfacing. This one-week intensive helps designers with modeling methodology, tips and tricks plus in depth modeling approaches to developing form. There is an array tool for modeling grills, speakers, and wheels, you can also lay down “stitch patterns” with the new Path Array tool, along with integrated sketching and illustration tools and product visualization produces high-res imagery for marketing product designs. 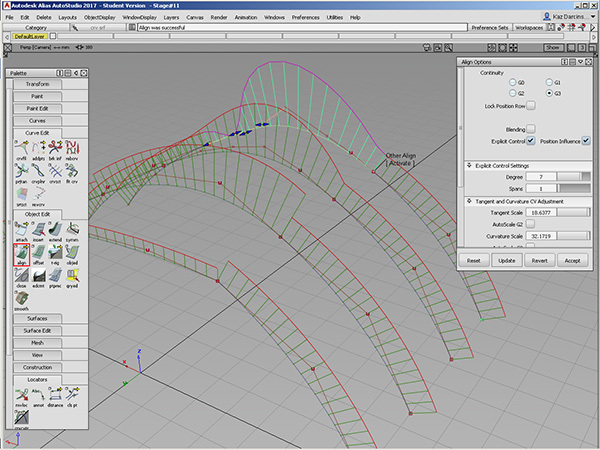 The participant will learn specific workflow and work with more advanced Alias surface models. Participants are encouraged to bring projects to work on in class. Deliverable: Gain modeling approach, technique and insight to the advanced capabilities you need with Autodesk Alias, from initial concept sketch to development of production-ready Class-A surfaces. Participants will receive the login and password to Design Engine online tutors. Unemployed participants will receive a list of companies using Alias Studio with contact names. 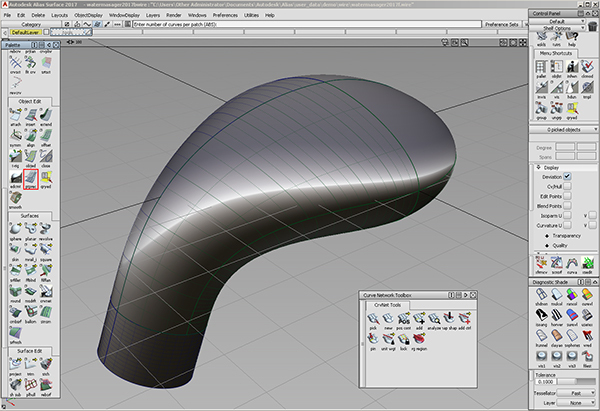 Create more advanced curves and surfaces from curves. Tooling without export to Creo or SolidWorks.